Pure Coffee Blog: Can you steam without the wand? Can you steam without the wand? Milk steaming/frothing is not something the average consumer does a whole lot at home. Since many coffee drinkers do not own an espresso machine with a steam wand, relatively few folks devoid of the espresso machine have forayed into the world of steaming milk at home. 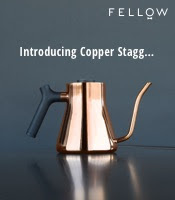 Over the last few years, especially with the advent of cheaper means of making espresso (or espresso-like coffee), it seems the demand for stand-alone milk steamers and frothers have also been on the rise. But milk frothers rarely do more than create lots of foam, if they even heat the milk at all. And other means of heating milk usually consist of warming it over a flame or microwave, each having their own unique effect on the taste and texture of the milk. It seems that if you're looking for well-steamed milk with silky microfoam, nothing compares to a steam wand. Thus if you want the ability to create steamed milk, the most surefire way to do so is to purchase an espresso machine with a steam wand or a stovetop device with a steam wand (like the Bellman Steamer featured below). Most steam wands will provide you with the tools to make great microfoamed milk at the correct temperatures. 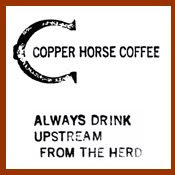 For more on this topic, CoffeeGeek has a great guide on how to make the most of what you got. But the question has been raised, what if I just wanted to get somewhat close to the quality of a steam wand; is their a method out there that does a decent job of producing steamed-quality milk? Many folks have attempted to find a way, and if you check out your local internet forums, you will hear of a myriad of answers and/or shortcuts. Some sound a little more credible than others, ranging from nuking and then shaking in a milk carton to carefully pan heating the milk and then using an immersion blender. The main things with these "short cuts" are that you shouldn't heat the milk above 150 F and that at some point you will need to introduce air in order to get foam. One of the more recent steaming alternatives to my ear is Lifstyl's Electric Milk Frother. Unlike most milk frothers, this apparatus also heats the milk in addition to foaming it up. Having an opportunity to try it out at home, I checked it out to see how it fared in the producing of heated frothed milk. The design of Lifstyl frother is convenient, with the only human-dependent step being the pouring of cold milk to the appropriate fill line (the high one is just for heating (in which you take the frother out) and the lower fill line for heating and frothing). The low fill line accommodates about 4-6 ounces of milk, so if you want a larger beverage, you'll have to do batches. Once you've filled in your milk, you press the button and after about a minute, the process finishes. During the process, the temperature reaches about 140 F at peak and the milk foam gets a bid sudsy (aka dishwasher bubbles). So while you won't be pouring latte art with milk from this frother, the quality for someone looking just to add foamy hot milk to their coffee is probably just on par. So if you're a coffee fanatic and you need to steam milk for your beverages, you should probably get a steam wand. But if you're not so concerned with high quality and you're looking for a tremendously convenient way to heat and froth your milk, check out the Lifstyle Milk Frother. note: frother was provided free of charge and the above review is objective feedback. 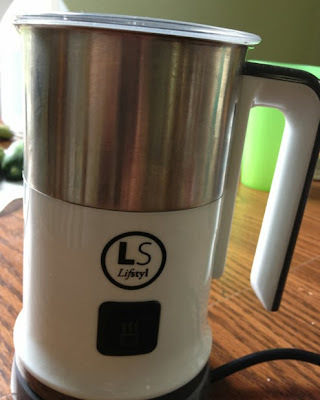 Huh, I've never seen the Lifstyle Milk Frother before. I'll have to check it out. Thanks for the review. What a great way to make frothy milk without a coffee machine wand. It looks like it is very easy to use as well. Sounds good, I'm planing to buy one from Amazon. I recommend this stovetop frother. Again, you'll not get latte art easily, but it makes great foam, and is even better for a hot chocolate. Great review. Haven't tried this kind of milk frother before. I'm looking forward for this one. When it comes on making my own coffee drinks at home, I use a handheld foam maker which I found also in amazon, http://amztk.com/milkfrother. It's also very helpful in creating lasting foam. I've been using this when making my own homemade cappuccinos, lattes, espresso and other coffee drinks. I have one of those amazon milk frothers. It's not the same. It makes the foam too thick to pour quickly and it introduces too much air into the mix. If you want a machiatto or cappuchino it's great, though. I am not seeking a stand-alone steamer. Those are great tips. Thank you for the information.